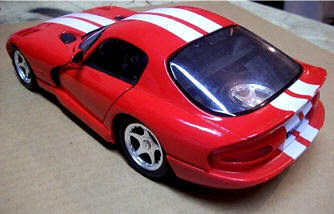 Choose Red or Red with White Stripes! No Longer made and Rare! 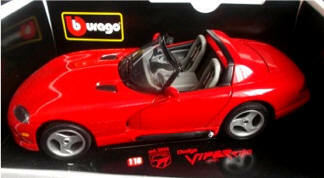 Although this model says 1996 on the box it represents all Viper Generation 2 GTS (96-02)vehicles which all have the same exact body style. 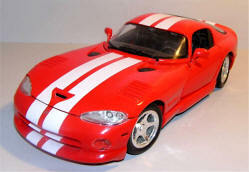 Comes in Blue with White Stripes, or Viper Red. 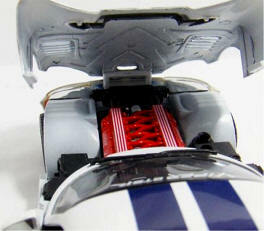 It has incredible detail you must see. 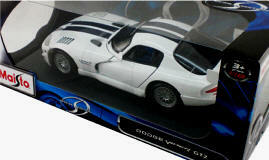 This rare detailed model was manufactured by one of the finest Diecast companies in the world. 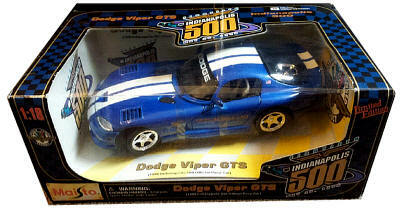 It is officially licensed by Chrysler Dodge. 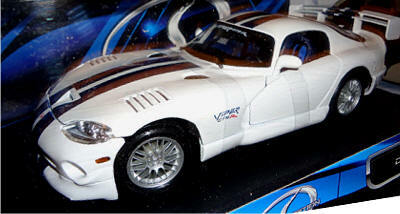 It is a metal diecast of one of the most recognized Vipers and color scheme of all. 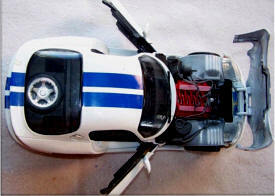 Approximately 10 inches (250mm) long. 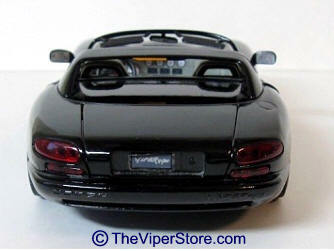 This collectors model makes a wonderful desk presence for any true Viper Lover. 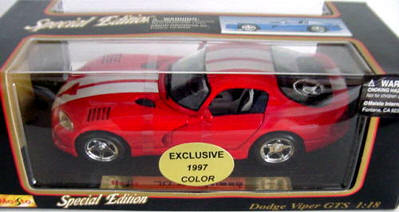 No Longer made and Extremely Rare! 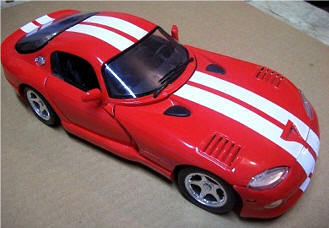 Although this Choose model: represents all Viper GTS (96-02) vehicle which all have the same exact body style. 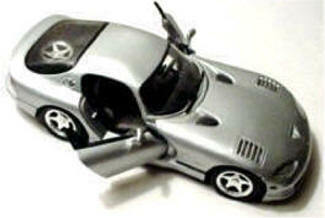 Comes in ALL Silver with black interior. 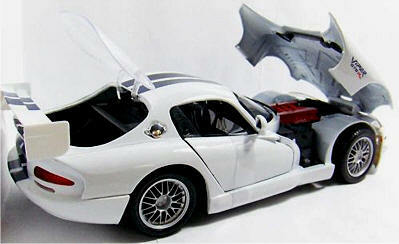 It has incredible detail you must see. 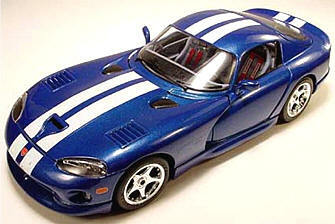 Although this model represents all Viper Generation 2 GTS (96-02) vehicles which all have the same exact body style. 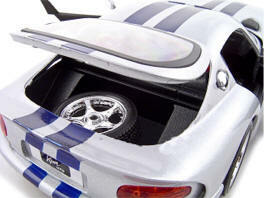 Comes in Silver with double blue stripes and a black interior. 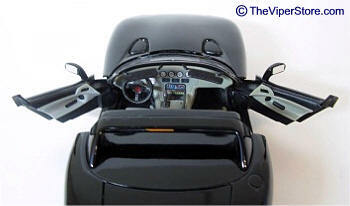 It has incredible detail you must see. 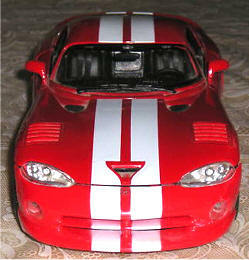 Comes in Blue with White Stripes or Viper Red. 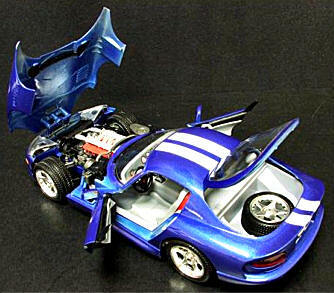 It has incredible detail you must see. Where it all started with the first Generation of Vipers (92-95) to hit the scene. 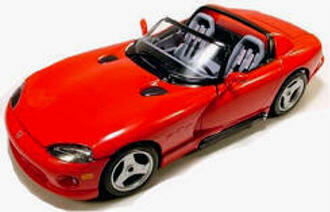 This model represents all 1992-1994 Generation 1 Dodge Vipers which all have the same exact body. 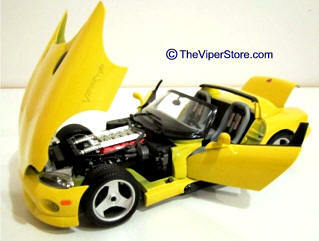 Available Colors: Dark Green, Viper Red, Yellow or Black. 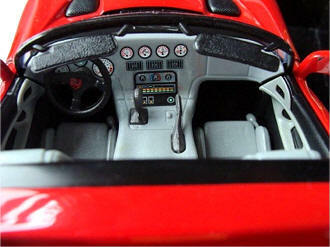 Doors, trunk, and hood open. 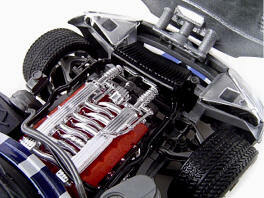 Highly detailed engine inside. 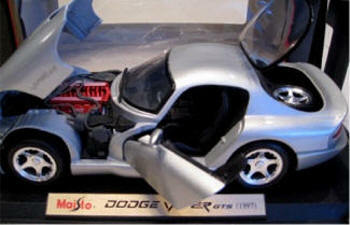 This 1994 Viper RT-10 is a great collectors item . 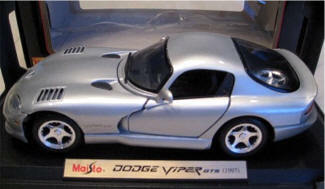 Own this highly detailed diecast metal model of the original Viper. 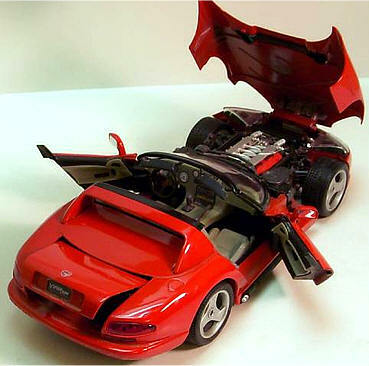 It awed the automotive World when it came out. 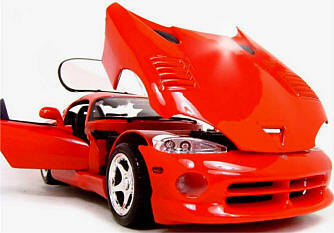 The first real American production Muscle car in decades. 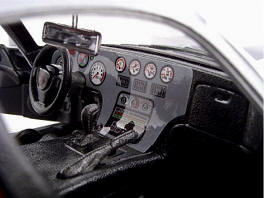 The fastest American car and one of the fastest cars in the World when it first came out. 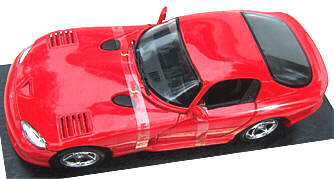 Car measures approximately 10 inches (250 mm) long. 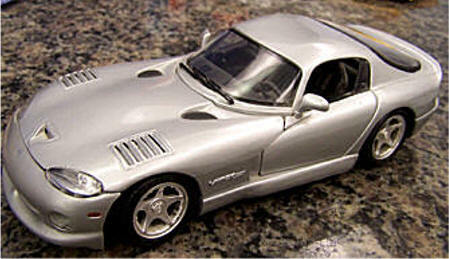 Although this model says 1997 on the box it represents all Viper Generation 2 GTS-R (96-02) vehicles which all have the same exact body style. 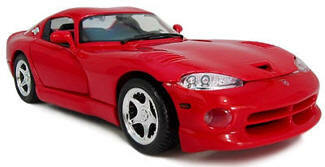 This is the official Dodge Racing Viper. 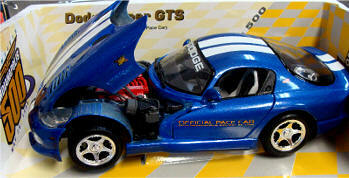 Comes in White with double Blue Stripes.